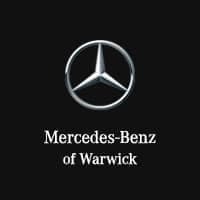 Even after you’ve found the perfect vehicle, Mercedes-Benz of Warwick is here for you every step of the way, offering service beyond compare with our factory-certified technicians and state-of-the-art service center. From routine maintenance to larger repairs, we aim to keep your vehicle running at top-notch performance throughout its lifetime. We love the Mercedes-Benz lineup as much as you do, and take pride in the services we provide. We believe nothing should stand in between you and your dream car, so contact us to get started. We are committed to serving drivers from Providence, Cranston, Newport, Westerly, East Greenwich, and beyond, and our sales and service staff will be with you every step of the way. Let us help you get into a Mercedes-Benz today.